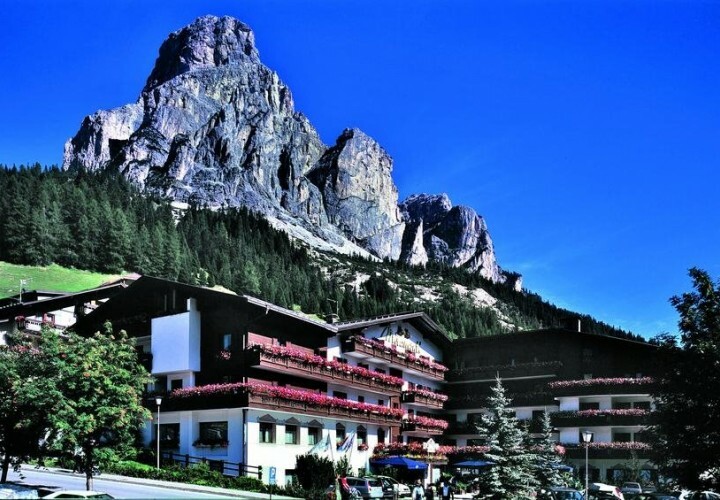 Corvara is situated in a sunny balley at the base of Mount Sassongher (1568 meters on the sea level) and, thanks to its position on the Sella massif, it is the perfect destination for skiing and mountain-bike lovers. What makes Corvara an important tourist locality is the abudance of hotels, luxury restaurants, nightlife, pastry shops, elegant shops and many other services that, during the last years, have been drawing thousands of tourists from all over the world without undermining the typical intimacy of a hill town. During the winter, Corvara is full of modern ski lifts. Families with children and cautios skiers can enjoy the numerous red and blue ski slopes, while the more skilled skiers can test themselves on challenging slopes like Vallon-Boè (4,5 km) and Col Alt and also enjoy two of the most suggestive skiing itineraries of the Alps: the Sellaronda circuit and the "First world war ski tour". During the summer, two modern ski lifts that start in the heart of Corvara allow the tourists to easily reach 2000 meters altitudes that offer breathtaking views on the Dolomites, the Marmolada glacier and the austrian alps. Hikers and climbers can enjoy signalled tracks on the valley floor and the Col Alt-Pralongià plateau, longer paths inside the Puez-Odle natural park and more challenging hills that reach the peak of Mount Sassongher and Mount Piz-Boè. To those who prefer other activities rather than skiing, Corvara offers a great variety of options: the ice stadium, a golf court, indoor and outdoor tennis courts, a biotope lake and wide green expanses. The Hotel Miramonti is only 800 meters far from the ski lifts that are easily reachable with a public shuttle service (extra cost, the stop is about 20 meters far from the hotel).